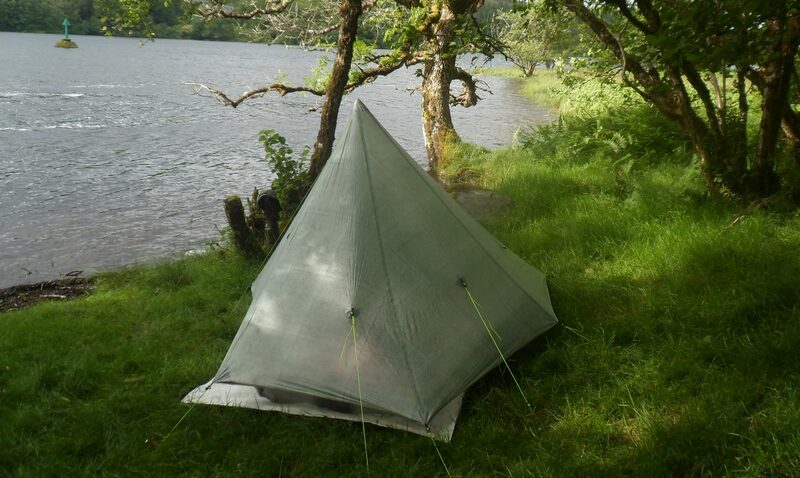 Final evaluation of The Luxe Hex Peak – Summituphere? Previous postTesting and preparing new kit. Next postSummer 2014 I remember It well? Part 1. I saw one pitched at the backpacking light show and was not impressed with the inner. I'm assuming it was pitched properly as it was on show but the inner was sagging quite a bit. Did you find the same problem? Michael doesn't actually say what changes he is going to make in any detail, so we can only hope they fix the problems. Hopefully he will send a couple of his UK customers prototypes to test prior to producing his 2015 stock. Another suggestion for 2015 model that may be worth passing back to Michael is moving the door zip to the other side of the door (ie to the right if viewed from inside). Currently if you are in the inner it's a bloody long awkward stretch to reach the bottom of the zip, and awkward to close. Would be easier if the door was flipped and opened the other way. Yes he does send the prototypes out to distributors, I can only assume that he doesn't go into exact details because of his broken English or want to keep improvements under wraps for the moment as it is at an early stage of development. That is currently being looked at Nigel, I personally would like to see a full length zip similar to the Akto.